Towards the end of November in 2018, the Guardian published a news article titled: “Revealed: faulty medical implants harm patients around world.” As the article goes on to discuss, an entire world of products are being manufactured for implementation into the human body. The problem? They oftentimes defect, resulting in serious harm to the patients they are implanted within, and sometimes, even death. 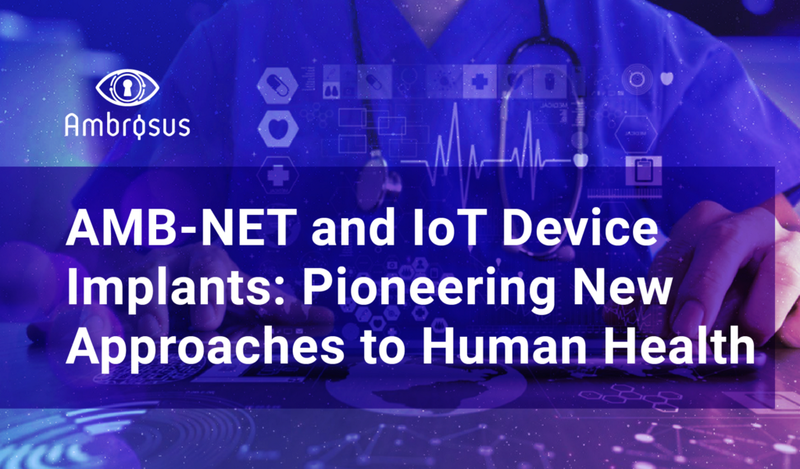 With the goal of improving human health, providing trust within the the healthcare sector, and creating new business opportunities for enterprises intent on promoting transparency, this article breaks down how AMB-NET is uniquely capable of providing a revolutionary solution for tracking implanted health devices. As health care systems have improved alongside increasingly cost-effective technologies, a number of new solutions have reached the market, with the promise of significantly enhancing human health. One area where this is particularly prevalent is in a fast-developing field known as as ‘Implanting’ valued close to $400 billion USD. In line with the name, ‘Implanting’ is the process by which physical-biological or physical-digital devices or components are inserted into the human body in order to better manage a certain health function. From spinal disks, to pacemakers, to replacement hips, such tools are used to recover from accidents, manage the aging process, and as a real-time monitor and emergency backup to fundamental body processes.